GM has released several high-resolution photos of what the production Chevrolet Spark (previously known as the "Beat") will look like. 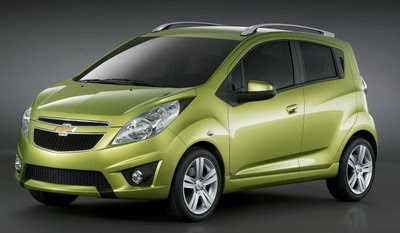 Apparently, the Spark will be sold in Europe early next year, with the little Chevy debuting in the U.S. in 2011. Let's hope this really happens. As you may know, last year GM said the U.S. was going to get the Beat/Spark, then said no, and now has said yes again. 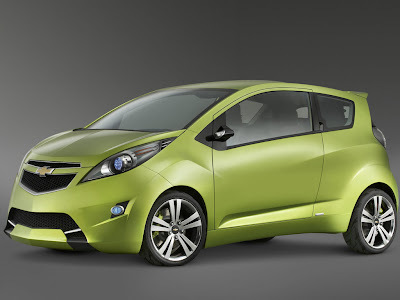 Let's hope it happens; GM desperately needs a good subcompact. One thing's for certain: The Spark has retained much of the look of the Beat concept car (at left), which is a good thing in my opinion. I think it's a very attractive, aggressive looking, subcompact. Let's keep our fingers crossed. Check out the links to Autoblog and CarScoop for more photos.